Click here to have fun !! Today marks the birthday of Google. 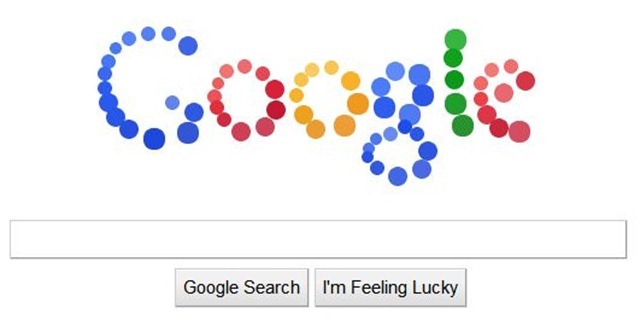 In celebration of such an important holiday among internet users, the Google homepage consists of a Google logo made up of bouncing dots and balls. They just aren’t your normal Google balls though. They are interactive with the a user’s mouse pointer. If you hover over the word “Google” the balls will spread away from your mouse pointer. Once the mouse is placed away from the balls, they will slowly morph back into the shape of the word “Google”. Happy Birthday Google! Where would the internet be without you? But why the post date is Jan 1, 2012 ?